Located in Chicago’s famed Merchandise Mart building, 1871 is the city's premier co-working space connecting startup companies and entrepreneurs with mentors, educational resources, potential investors, and a community of like-minded entrepreneurs. Loyola University Chicago is proud to partner with 1871 to allow all Ignite Lab members access to this vibrant space. Loyola’s 1871 membership is available to current students, faculty, and staff from any area of the university, who can demonstrate that they are engaged in entrepreneurial pursuits that would be advanced by accessing 1871. 1871 is a work space for digital and tech entrepreneurs located in Chicago’s famed Merchandise Mart building. 1871 connects early-stage startups with educational resources, potential investors, and a community of like-minded individuals and companies. Fill out the Ignite Lab Member Application here. In your application, please mention that you are interested in 1871 access. You will receive an email confirmation within 1-2 business days. After becoming an Ignite Lab Member, you will need to email us at ignitelab@luc.edu to confirm your interest in a student 1871 membership. We will then send you an email with steps telling you how to activate your account. Once you’re approved, you can login to 1871’s online portal here. Before you reserve space, please review the usage policy below for proper use of the space. Questions? Email us at ignitelab@luc.edu. To reserve the space, a user must be a current Loyola University Chicago student, faculty, or staff member. The approved user may reserve the room for up to four hours per day for a maximum of two times per week, unless given express permission by Ignite Lab. In addition, the user will only be allowed to have four upcoming bookings in the system. Before submitting a space request, first-time users must complete the Ignite Lab Member Application. Loyola’s 1871 space is available for use seven days a week. Upon arrival at 1871, please tell the receptionist you have a reservation for the Loyola Suite and give the name on the reservation. You will be given a key card to access the Loyola Suite in exchange for your driver’s license or Loyola student ID card. After your meeting, exchange your key card for your ID on your way out. For after hours bookings, please use the 1871 lock box. Users are responsible for returning the keycard upon leaving. We reserve the right to charge a $50 fee for any lost or stolen 1871 keycards. Ignite Lab manages the Loyola’s 1871 membership and reserves the right to revoke access to any individual or group not adhering to the policies stated here. What is available at 1871? 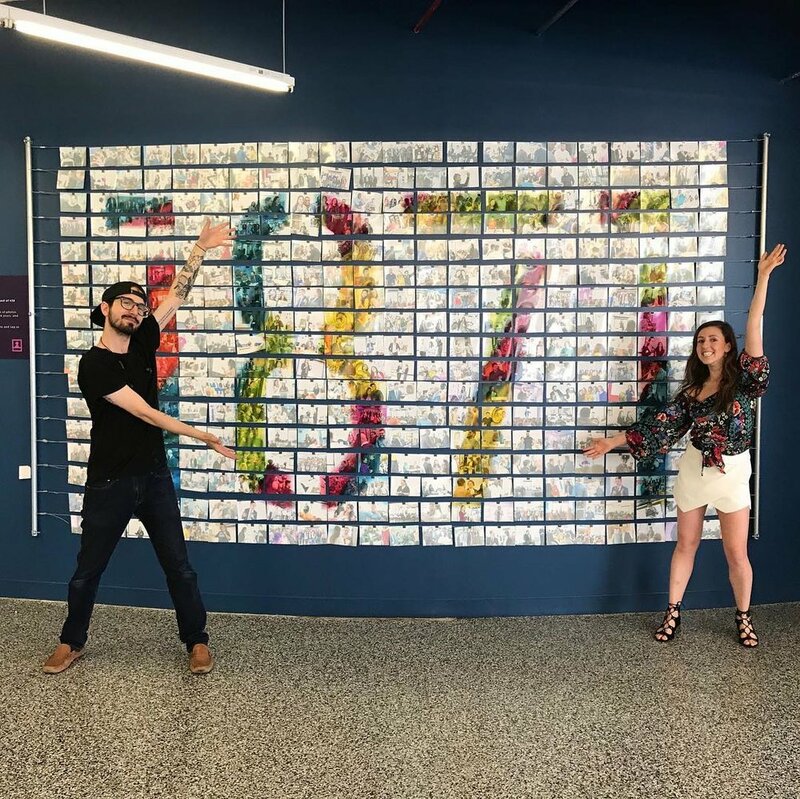 1871 provides a physical space in which Ignite Lab members can work and engage with the entrepreneurial and digital tech community in Chicago. The Loyola Suite is a dedicated space that can be reserved by Ignite Lab members. What is the Loyola Suite? The suite is a conference room equipped with Wi-Fi, a whiteboard, phone, and video capability. This shared space can accommodate up to 6 users at a time. What else is available to members? 1871 hosts daily events and workshops, several of which are free to 1871 members (including Ignite Lab members); for a complete list of upcoming events, visit http://www.1871.com/events. How do I get to 1871? 1871 is located on the 12th floor of the Merchandise Mart, 222 West Merchandise Mart Plaza, Suite 1212, in the heart of Chicago’s River North neighborhood. The CTA Brown Line and Purple Line trains serve the Merchandise Mart station and there are numerous parking garages within 2 blocks (validated parking is available). Who is allowed to use the Loyola Suite? All Ignite Lab members are able to use the Loyola Suite. To become an Ignite Lab member, fill out the application here. How do I register for 1871 events not affiliated with Ignite Lab? 1871 offers several unique and educational events each month. Once you become an Ignite Lab member, many of these events are open for participation. For further information regarding events, visit the 1871 Events Page to register for events and programs of interest to you. Please note that some events at 1871 are also open to the public and may require a fee to attend. If you choose to attend a fee-required event, you are personally responsible for payment of the fee and there will be no reimbursement. I just need a study space to work. Can I use the Loyola Suite? No, Ignite Lab's agreement with 1871 is to provide a platform for you to interact and engage with the broader entrepreneurial and tech community at 1871. The purpose of this resource is to provide a space for fledgling tech start-ups, to provide students with real-work experience with other members, and engage in the advancement of technological innovation.